2019 is shaping up as an interesting year for wearables. With Google's rebranding of the faltering Android Wear platform to Wear OS and a rumored Pixel-branded smartwatch on the horizon, there's a lot to look forward to. However, if you need a smartwatch right now and are not sure what to pick, we've got a handy list of the best smart timepieces available on the market right now. Looking for a stylish watch with a classic design? No problem! Or maybe you're in the market for something with great fitness tracking abilities? We've got you covered! But what about something that strikes a balance between both? There's something for you as well! 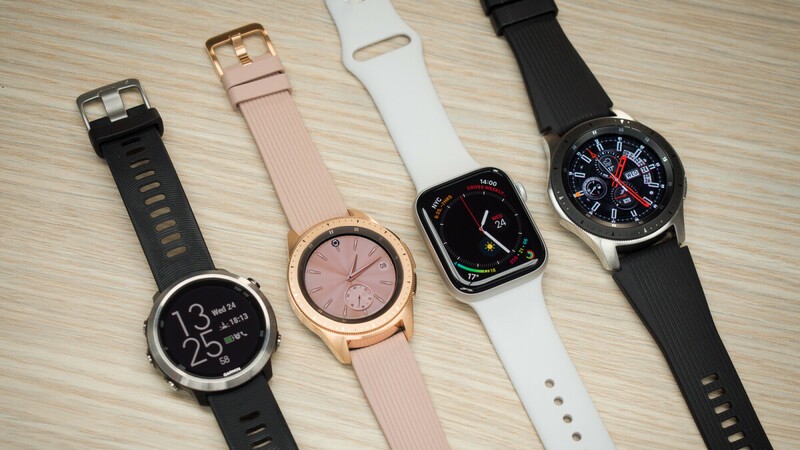 Check out our list of the best smartwatches to buy right now! To those in the market for a smartwatch, the Samsung Galaxy Watch is easy to recommend. It is fast, good-looking, and has great battery life for a device of its class. It's great for those who may be looking for a high-tech lifestyle accessory that blends style, function, and self-expression. The age-old "if it ain't broke, don't fix it" mantra is in full effect here, as the Samsung Galaxy Watch looks and feels a lot like the company's last few smartwatches. It retains the classic appearance and circular design, allowing it to look more like a lifestyle accessory and less like a geeky toy. Whether you're at the office, out for dinner, or exploring the great outdoors, the watch won't seem out of place on your wrist. Whether you have an LTE model or not, the Samsung Galaxy Watch can be used to make phone calls. On a non-LTE model, the watch simply acts as a Bluetooth speaker while the call itself is handled by your phone. Call quality isn't stellar, but it is acceptable. The speaker built into the watch is sufficiently loud and produces clear voice tones. Voices do sound muffled and digitized on the other side of the line, but having a conversation in a relatively quiet environment is definitely possible without much effort. 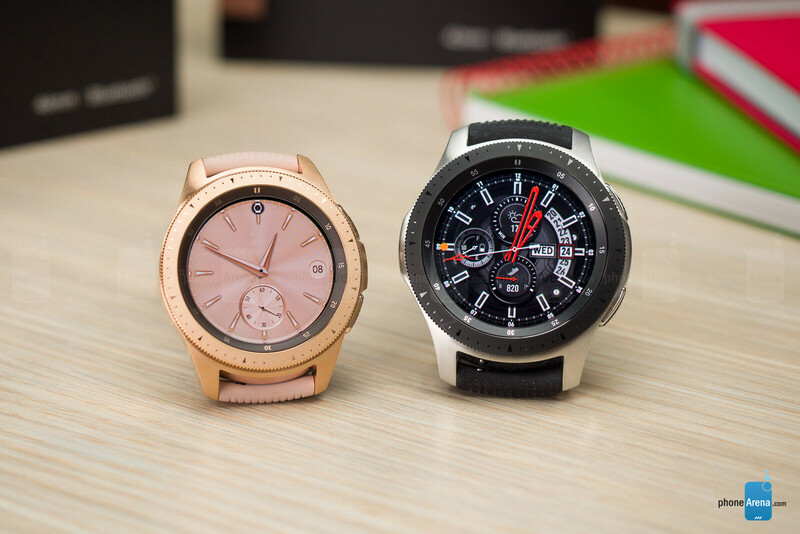 Just like Samsung's last few smartwatches, the Galaxy Watch delivers solid battery life. The smaller, 42mm variant easily lasted through 2 full days between charges, while the bigger, 46mm model got me through 3 full days – with the screen always enabled on both. Disabling the Always-On Display feature makes them last a day extra. The Samsung Galaxy Watch strikes an almost perfect balance between a high-end lifestyle gadget and a capable health tracker. However, if you're really into tracking your sporting activities wit your smartwatch, you may want to look into the Samsung Galaxy Watch Active instead. Just like other Samsung smartwatches, the Galaxy Watch Active runs on Samsung’s own Tizen platform. However, unlike those other Samsung watches, this one does not have the convenient rotating bezel that you use to navigate around the menus. This is both a good and a bad thing, as it streamlines the design of the watch even further, turning it into a surprisingly minimalist and elegant timepiece. On the other hand, however, the convenience that Samsung's trade-mark rotating bezel provided is now lost. 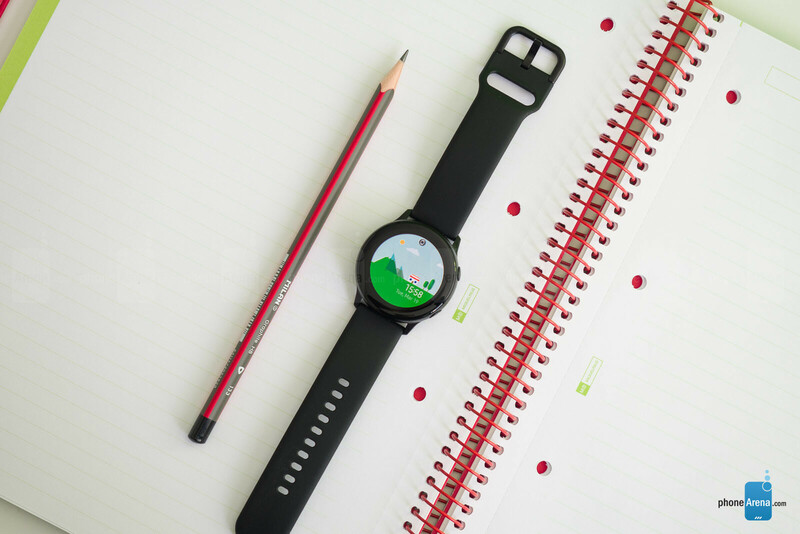 The biggest draw that the Galaxy Watch Active has to offer, is, of course, workout and health tracking. The one feature that steals the show here is automatic workout tracking. This works much better than on the Apple Watch as it kicks off every single time you take a brisk walk for over 10 minutes, and automatically records it to your workouts, while with the Apple Watch you would have to go to the labor of manually starting and recording it (the Apple wearable has automatic workout tracking but it only works for longer workouts and we found it less reliable than Samsung’s method). As far as battery life goes, it's a solid 2-day experience. You wear it a full day, sleep with it, then wear it one more day and its battery runs out by the time you get back from work. Of course, if you run for an hour with the GPS on, and do reps in the gym on the same day, you might not get that much juice, but for everyday averages, it’s a 2-day battery experience. The new Series 4 looks a lot like previous Apple Watch models, as it has the same rectangular form, the same digital crown and one button below it, but just turn on the screen and you witness a brand new experience. Apple has trimmed the bezels, adding more than 30% of extra screen space, and this makes a world of difference. The internals have also been completely rearranged, so you get louder sound for calls and Siri, and best of all, this new watch is very, very fast. While for many people, the Apple Watch is a great daily companion for notifications and calls, and just for style, for many others, its true value lies in the accurate and effortless activity and health tracking features. Tests have shown that heart rate monitoring accuracy of the Apple Watch is very close to the readings from a dedicated chest strap and this is impressive. On the Series 4, you get more consistent readings with fewer errors than before and readings happen very fast. Apple says the Watch will provide an average of 18 hours of battery life, but of course, this depends hugely on how you actually use the wearable. 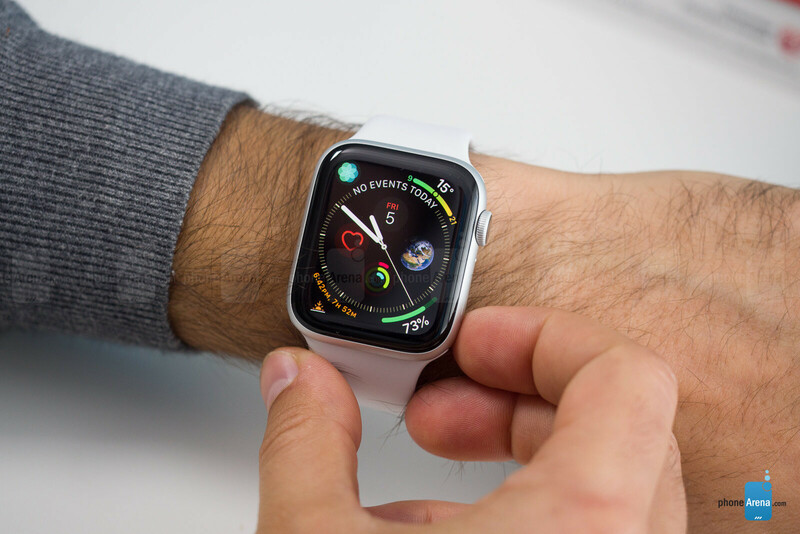 In our experience with the Apple Watch Series 4, average battery life has varied between 36 and 48 hours, which exceeds expectations. Of course, using the watch for sleep tracking and streaming lots of audio over cellular would inevitably bring those numbers down. Still, for what its worth, the Series 4 delivers stellar battery life and performance all around. For several years now, Fitbit has been a name synonymous with activity trackers. The Fitbit Versa, however, is much more than a wearable gizmo that counts your steps. It is a full-fledged smartwatch and a capable fitness companion – one that you can safely swim with, one that stores music for offline listening, one that lasts for days between charges. And all of that comes with a very reasonable price tag. 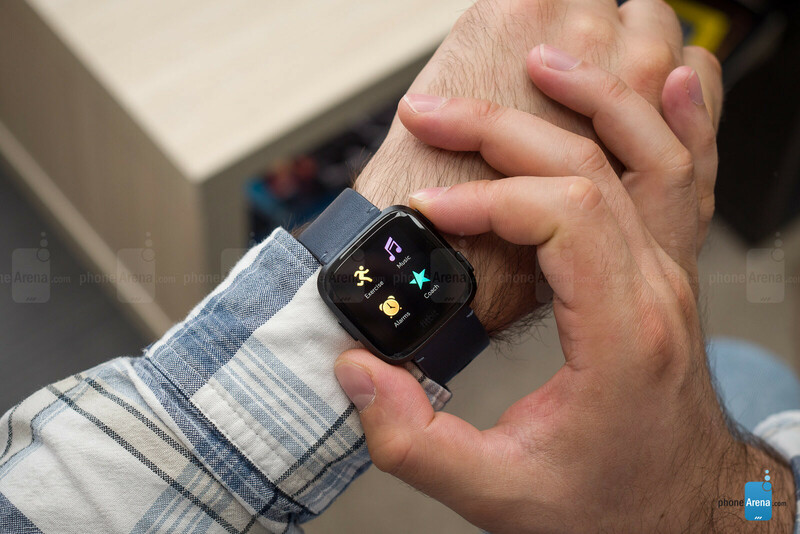 The Fitbit Versa runs a proprietary operating system, and it doesn't have access to certain fancy features offered by higher-end smartwatches. There's no access to Siri or the Google Assistant, for example. There's no cellular connectivity on it either. The selection of quality watch faces feels limited, and that of apps – even more so. But despite its limitations, the Versa can do some neat tricks. It can store music on its built-in memory for offline use and playback over Bluetooth. It supports Fitbit Pay mobile payments as well, as long as you have the special edition of the watch. The Fitbit Versa easily lasts multiple days between charges, which anyone coming from an Apple Watch or a Wear OS device would find awesome. On auto brightness and with notifications enabled, we were getting four full days of use out of it. But as expected, music streaming and leaving the screen on during exercises shortens the Versa's battery life significantly. The Huawei Watch GT is a refreshing device. It looks like a classic smart watch but it’s by no means trying to replace your phone. Instead, it aims to be a complement, with a focus primarily on fitness tracking. Sure, it can receive notifications from Android or iOS devices, but that’s about all the phone functionality you’ll find – interacting with these would just obfuscate your fitness goals as the Huawei Watch GT would see it. Running its own proprietary OS, the Huawei Watch GT is very focused on fitness tracking and providing stellar battery life. It sports a stylish and solid construction with 5-ATM water-resistance. The shiny, two-tone casing looks premium while the feel of it, and the sturdy click on the buttons, make it feel as well-made as it looks. 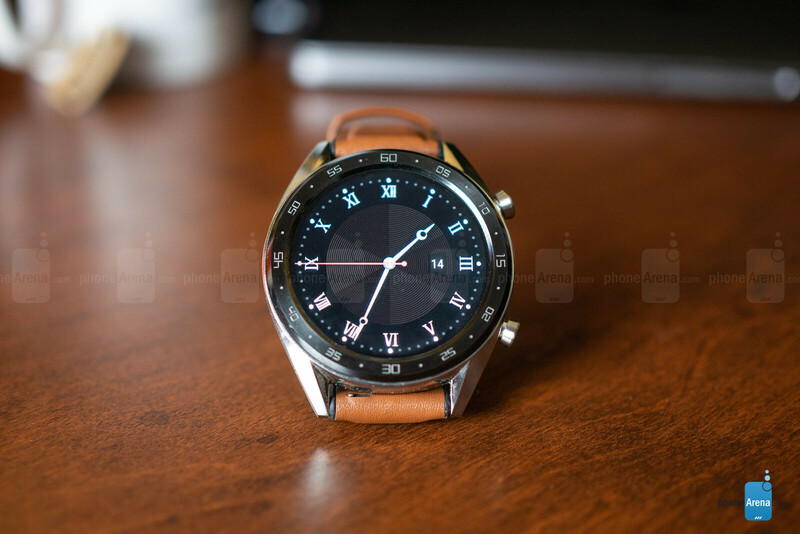 Running LiteOS, Huawei’s propriety platform – not Google’s Android Wear software – there’s not much to the Huawei Watch GT’s interface, and, for the most part, we like that. Sure a dedicated back button – physical or software-based – would be nice to have to complement the mostly-present “swipe back” function (sometimes it’s just not an option), a way to clear single notifications would be appreciated, and it would be nice to be able to look at more information from the cards presented to you, but alas, this is a fitness tracker meant to provide quick bits of relevant information. Huawei boasts 2-week battery life on the Watch GT with mixed usage and 90 minutes of tracked exercise per week; we’d say that’s right about in line with our experiences. On our heaviest usage days, which included setup, multiple updates, lots of flicking around the OS, and an hour of exercise, we shaved off around 20% battery, but on more typical days we’d be more in the 5%-10% range. If you’re the type that exercises 5 days a week for around an hour a day you might fall closer to the 8 to 10-day range, but compared to most other watch accessories which usually last closer to a day, we’d say the stuttery animations are a worthy trade-off for smartwatch looks with replete fitness tracker functionality.